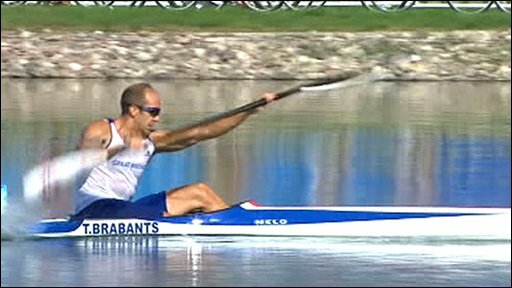 Tim Brabants powered to a superb victory in the final of the men's K1 1000m to win Great Britain's 18th gold medal of the Olympics. The 31-year-old dominated the race from the start, finishing almost a boat's length ahead of the defending champion, Norway's Erik Veraas Larsen. 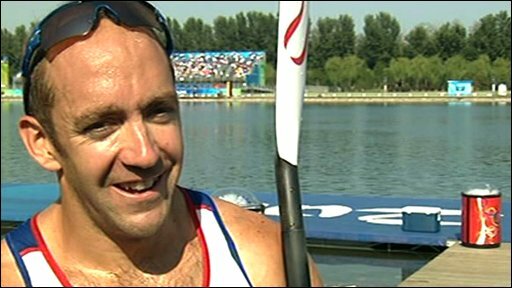 Brabants crossed the finishing line in 3 min 26.323 sec to win Britain's first ever canoeing Olympic gold medal. Brabants adds Olympic gold to his world and European titles. Starting in lane five, Brabants led from the very start of the race at the Shunyi Olympic Rowing-Canoeing Park, holding off the challenge of Adam van Koeverden at the 500m stage. The Canadian faded in the closing 250m stages as 2004 champion Larsen made his move, but Brabants held firm to clinch historic gold. "That was exactly the race plan we wanted, that is what we have been working on all year in how to race an Olympic final," said Brabants, who won bronze in Sydney in 2000. "In the first two strokes there was no doubt I was going to win the race. No-one was going to come past me, I felt fantastic. "I know it is easy to say when I won but right from the start line I was going to win the race." Brabants had recorded the world's fastest time in his qualification heats in Athens four years ago, but failed to make the podium after finishing fifth in the final. "Four years ago I had unfinished business. I was good four years ago but I wasn't this good," he added. "London is definitely on the cards now. Don't be surprised to see me in London ready to represent Great Britain again." Australia's Ken Wallace took the bronze medal behind Larsen. Brabants - a qualified doctor - goes for a second gold in the K1 500m final on Saturday. The man from Walton-on-Thames in Surrey is the current European champion in the shorter distance.